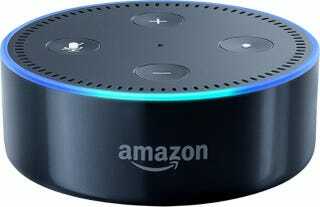 Since I love playing with Mr. B’s Echo Dot, and they’re letting people purchase it in installments of $10 a month until it’s paid off, I decided to get one myself. Anyone else have one, or any of the similar smart devices? Any neat things you suggest adding to the system or asking it to do? So far all I’ve done is use it to play podcasts while I cook, tell me what tomorrow’s weather is, and asked what orphan drugs are. I was listening to the politics of orphan drugs but was distracted when they did the explainer up top. I could have waited for Amazon’s products to be a fraction of the cost during the holidays, but the speakers on my phone are crapping out (and I wanted one nooowwwww).